Dengue fever is a disease spread by the vector called Aedes mosquito, which breeds on still water that gets collected especially after the end of the summer. It is primarily transmitted by the bite of an infected mosquito but it is non-contagious i.e. it never transmits from one person to another. When a mosquito bites a person already infected with dengue, the virus transfers to the salivary gland of the mosquito—when this infected mosquito bites a human, the virus gets transmitted to the person. The mosquito usually bites in the daylight. Dengue is also known as the break-bone fever and typically occurs in tropical regions. The dengue virus affects the platelet production in dengue patients. The general lifespan of platelets is about 4 days and the normal count is between 1.5 and 4.5 lakhs. Dengue virus affects the body’s ability to form new platelets and decrease the number of platelets already present; the decrease in the platelet count is known as thrombocytopenia. The disability of the body to form new platelets also affects the body’s ability to form blood clots. A reduction in the platelet count ups the risk of a brain haemorrhage or bleeding. If the count becomes lower than 20,000-25,000/mm3, then your doctor may recommend platelet transfusion. Retro-orbital pain: pain behind the eyes. It may get worse with the slightest movement of the eyes. The symptoms may disappear after a couple of days and these symptoms only occur at the earliest stage of the fever. More symptoms are seen when the dengue progresses into one of its severe forms: Dengue Shock Syndrome and Dengue Hemorrhagic Fever. These two are rare complications of dengue and they can be life-threatening. This is a severe complication of dengue fever. It can be fatal if left untreated. The symptoms of hemorrhagic fever are similar to dengue fever but the former is more severe. If the disease is not severe, the signs and symptoms decrease after the fever resolves. This bleeding may lead to purplish bruises. But in some cases, symptoms of dengue fever resolve and signs of circulatory failure develop which can rapidly progress to severe shock, which can then lead to death within 12-24 hours. Dengue shock syndrome could also lead to an organ dysfunction because of low blood pressure. It occurs in only about 5% of the dengue patients but if it is detected, the patient should immediately be taken to the hospital. The signs and symptoms of Dengue fever and DHF in Pregnancy is similar to that in the non-pregnant patient. In pregnancy infections with dengue virus is not more severe as compared to a non-pregnant patient as in the case, for instance, of malaria. Infection with dengue virus does not increase the risk of foetal malformation or deformity. People of all age group suffer from dengue fever. Clinical diagnosis of dengue fever can be difficult as the signs and symptoms of dengue fever are similar to that of a viral fever, malaria or typhoid fever. To confirm the diagnosis your doctor will test your blood for the presence of dengue virus. Tests done to confirm a diagnosis of dengue fever include a serum or autopsy tissue sample, which is taken to identify the virus. Reverse transcriptase-polymerase chain reaction (RT-PCR) test is also used to identify the virus. The Dengue ELISA test is done to test for IgG and IgM antibodies to dengue virus. Acute dengue virus infection is most frequently confirmed by the use of serological tests. Dengue viral antigen can be detected for early diagnosis of the disease. The tests are carried out to detect dengue and also to ascertain the acuteness of the infection. When there is an increase in the dengue antibodies between initial and later samples, the infection is confirmed as acute. The MAC-ELISA test is used for rapid confirmation of dengue fever. It needs to be repeated every 10 to 14 days in case the initial test was negative. The samples collected initially and later can be analyzed through what is called hemagglutination inhibition (HI) or made to undergo enzyme immunoassays for definite confirmation or denial of acute dengue infection. There are some complex tests called complement fixation and neutralizing antibody which are not possible in every medical centre. Since these assays are very technically demanding, they are possible only in specialized laboratories. Separation of dengue virus or detecting dengue viral RNA in a patient’s sample of serum or tissue gives a confirmation of the infection. But these assays have limited application because of their complex techniques. They are generally performed for the purposes of different types of medical research. Blood pressure monitoring (as people with DSS and DHF are at risk of developing very low blood pressure). Prompt and judicious administration of fluids (oral and intravenous), supportive care and good monitoring (blood pressure, heart rate, and fluid status) in patients with DHF or DSS can prevent complications and even death. 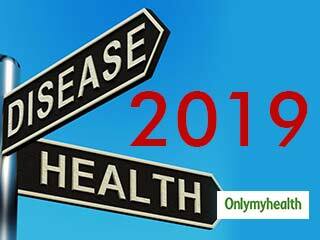 There are some threats that might follow you in the year 2019 so it is better that you try your best to be prepared and prevent these diseases prior to it becoming an epidemic. Dengue fever has been on the rise in India and many states in the country are drastically affected by it. It is spread by the vector called Aedes mosquito, which breeds on still water in many cities that gets collected after the end of summer. 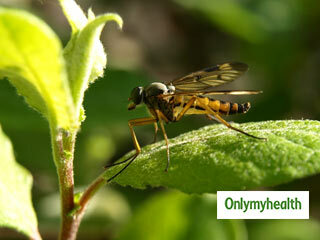 Mosquitoes are harmful because of the bacteria, viruses and parasites they transmit, thereby causing diseases. Here are 5 of the deadliest diseases that everyone should know about. If you suspect that you are suffering from dengue, you must consult a doctor immediately. 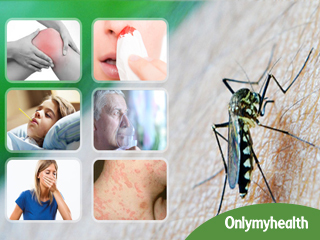 To diagnose dengue fever, you must know the symptoms and other related aspects of dengue. Dengue and dengue hemorrhagic fevers (DHF) are acute febrile diseases which occur in the tropics. Know how to prevent yourself from it. Dengue has a sudden onset with symptoms such as headache, fever, exhaustion, severe joint and muscle pain, swollen glands and rashes. 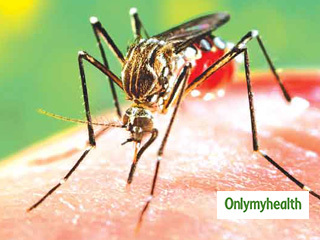 The presence of fever, rashes and headache along with other symptoms is particularly characteristic of dengue. If we follow the trend of this disease, the number is three to four times more than 2009, said Dr N K Yadav, health officer, MCD. 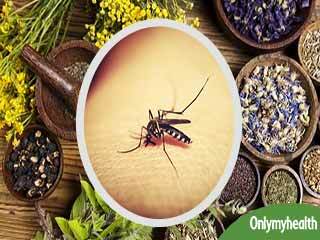 Indian scientists have developed the world’s first Ayurvedic drug to cure dengue. 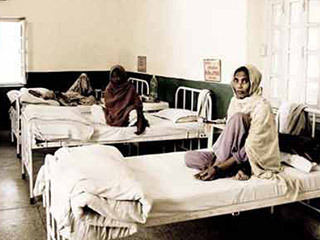 Severe diseases such as Dengue, Scrub Typhus, Encephalitis and Malaria seem to dominate the country between August and October, contributing to multiple seasonal deaths.